LED Light Strips | RV Lighting Inc.
16 feet (5m) of multicolor LED flexible light strip kit with wireless RF remote control. 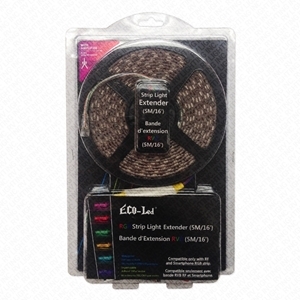 This kit is 5 step dimmable for 12V DC installation (or 120V AC with the included converter). 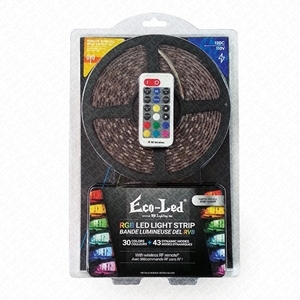 8 feet (2.5m) of water-resistant multicolor LED flexible light strip kit with wireless RF remote control. This kit is 5 step dimmable for 12V DC installation (or 120V AC with the included converter). 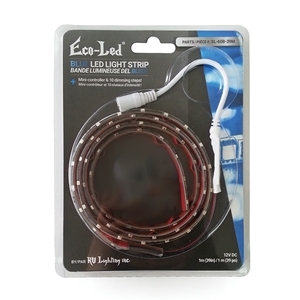 3 feet (1m) of BLUE LED light strip, with 5 steps dimming. Comes with Red 3M tape on the back, mini manual controler & cleaner pack. The strip has 60 SMD 5050 LEDs mounted on a white flexible PCB. For technical specifications and additional information, see below. 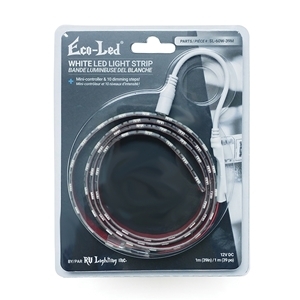 3 feet (1m) of COLD WHITE LED light strip, with 5 steps dimming. Comes with Red 3M tape on the back, mini manual controler & cleaner pack. The strip has 60 SMD 5050 LEDs mounted on a white flexible PCB. 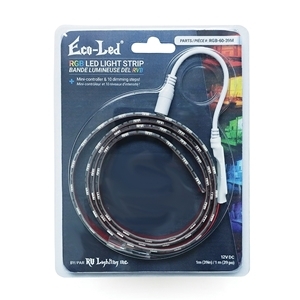 3 feet (1m) of multicolor LED light strip, with 5 steps dimming. Comes with Red 3M tape on the back and mini manual controler. The strip has 60 SMD 5050 LEDs mounted on a white flexible PCB. 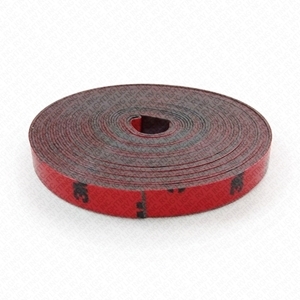 16 feet (5 meters) roll of 10 millimeters wide 3M Red ultra strong double-sided adhesive tape. For details and specifications, see below. 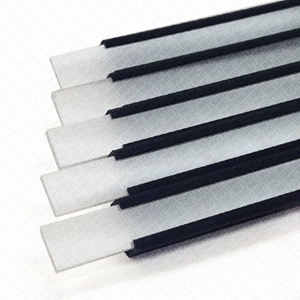 Kit of 5 pieces of 39 inches 45° angled BLACK slide moldings and diffusers, for 10mm light strip. Total length of 5 meters. For details and specifications, see below. 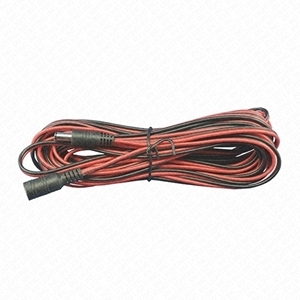 2.9 feet power cord extension with lead wires and male "Quick-Connector" at one end. 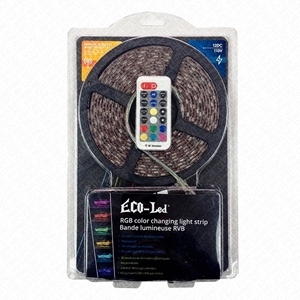 Suitable for 12V DC Eco-LED® light strips.